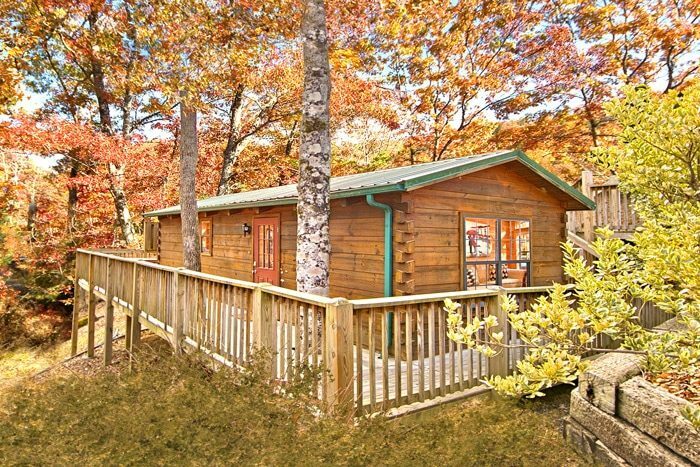 Spend enchanted moments in this Smoky Mountains honeymoon cabin rental near Dollywood. 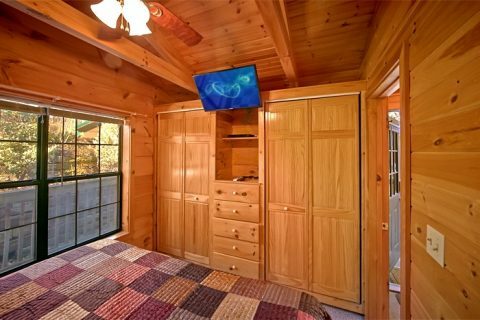 "Enchanted Moments" provides vacationers with a Smoky Mountains Tennessee cabin rental that was built with only two in mind. 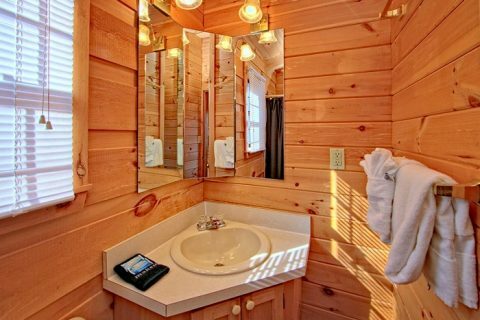 With comfortable amenities and a convenient location, this cabin provides the perfect opportunity for a romantic retreat to the Smokies. 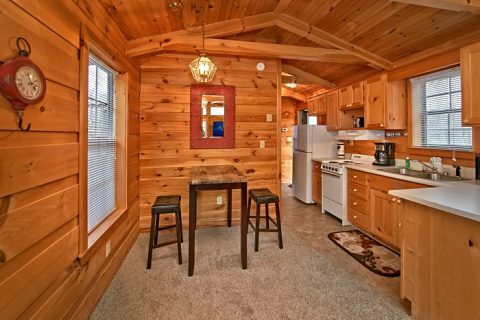 Escape to our cozy, highly affordable 1-bedroom Smoky Mountains Tennessee cabin rental in Paradise Ridge Resort that places you and your sweetheart close to all the action of the Parkway. Enjoy dinner at one of the top-notch restaurants, see an exciting show, or see a view from the top of the Great Smoky Mountain Wheel. Thrill rides, shopping, and more are only a short trip away! 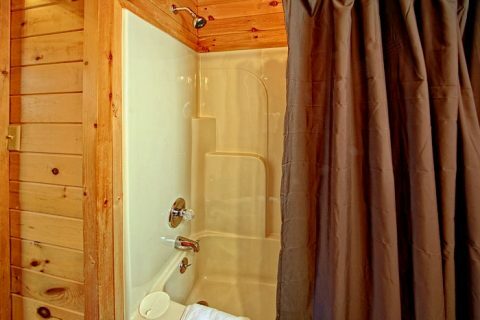 Your Smoky Mountains honeymoon cabin rental provides plenty to enjoy at home as well. 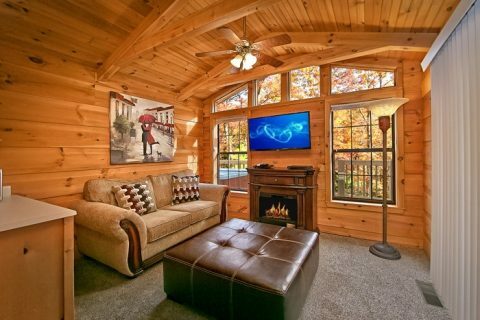 This relaxing couple's retreat greets you with a living room with comfortable sofa, glowing electric fireplace, and 40-inch flat-screen television for relaxing movie nights with your loved one. 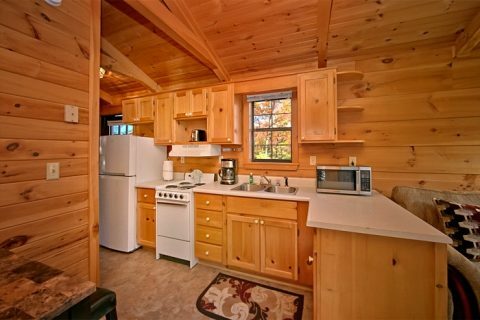 Cook romantic dinners in the fully equipped kitchen with bistro dining for two. 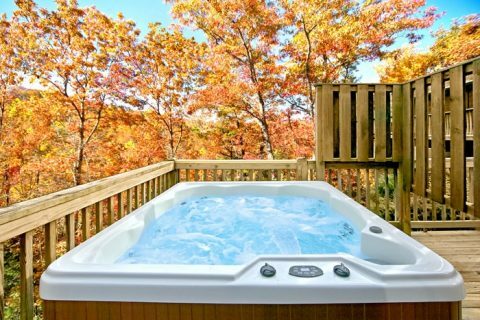 Outside, soak in your inviting, year-round hot tub or host cookouts on the charcoal grill. 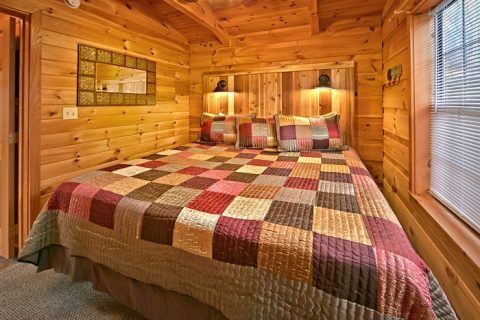 When it's time to turn in for the night, catch some Zs in your comfortable king-size bed. Book "Enchanted Moment" or another Smoky Mountain honeymoon cabin rental online and get your immediate Online Cabin Special savings!